Our drive to consume – our desire for food, clothing, smart phones, and megahomes – evolved from our ancestors’ drive to survive. But the psychological and neural processes that originally evolved to guide mammals toward resources that are necessary but scarce may mislead us in modern conditions of material abundance. Such phenomena as obesity, financial bubbles, hoarding, and shopping sprees suggest a mismatch between our instinct to consume and our current environment. 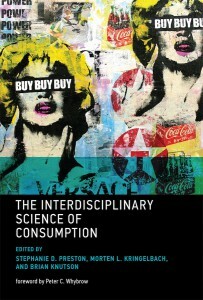 This volume brings together research from psychology, neuroscience, economics, marketing, animal behavior, and evolution to explore the causes and consequences of consumption. Contributors consider such topics as how animal food-storing informs human consumption; the downside of evolved “fast and frugal” rules for eating; how future discounting and the draw toward immediate rewards influence food consumption, addiction, and our ability to save; overconsumption as social display; and the policy implications of consumption science. 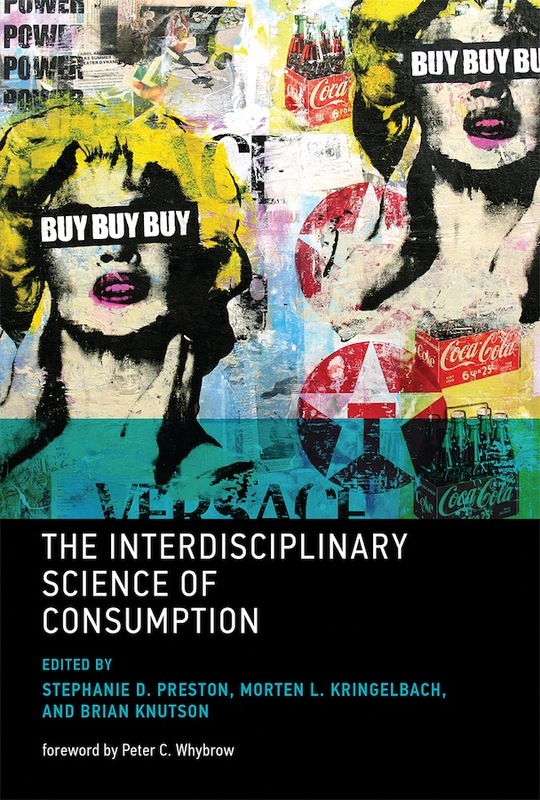 Taken together, the chapters make the case for an emerging interdisciplinary science of consumption that reflects commonalities across species, domains, and fields of inquiry. By carefully comparing mechanisms that underlie seemingly disparate outcomes, we can achieve a unified understanding of consumption that could benefit both science and society. Morten L. Kringelbach is Professor of Neuroscience at Aarhus University and Oxford University. Brian Knutson is Associate Professor of Psychology and Neuroscience at Stanford University.